So time to get ready for your job interview and in this article we provide you with the key tasks to complete before stepping through the door of the interview room. We all know that first impressions count for a lot, and a job interview is no different in this respect. The job market is becoming increasingly competitive, so the process of applying for a job may be more arduous than ever and the interview itself is becoming even more competitive. It is a vital part of the whole job selection process, and a candidate has to do well to stand any chance of landing the job. One mistake could lose you the job, whilst one or two outstanding areas of performance in an interview can put you in front of the competition. Preparing for your interview it essential to ensure that you go into your interview with a confident and positive attitude. The laws of attraction maintain that a positive and optimistic attitude is more likely to get you what you want in life and this applies equally to the interview process. On the contrary excessive nervousness is likely to be reflected in a poor interview performance, with failure to answer questions in a clear, concise, and convincing manner. A degree of nervousness, when going for an interview, is natural of course, but, as with public speaking, for example, overcoming these anxieties by adequate preparation and practice is the key to success and this is where adequate and effective preparation works. Here are some simple and easy exercises which will help with your interview preparation and will boost your chances of interview success. Do spend time with these; the more time you spend on your interview preparation the higher your chances of success. This has been proven time and again and really is the key to success in your job interview. a. Jot down what you consider to be your Key Strengths, your Unique Selling Points and your Positive Personal Qualities. b. Review your CV, becoming very familiar with all aspects of it. c. Select what you consider to be your Top Three Achievements and develop a story relating to each, which demonstrates what you did, the steps or actions you took and very importantly the benefits you delivered. d. Finally, create a Personal Statement for yourself, starting with your name, your profession or job, your recent experience and achievements, your key strengths and how you can use your skills within the job you are being interviewed for. When preparing for a job interview you must research the job fully. This may sound obvious, but it is surprising how many candidates do not have a clear idea of just what they will be doing in the job. This is a key part of your interview preparation and it is vital that you know what is involved in the job, which skills are prized and what key competencies your employer is searching for. Make sure you have a copy of the Job Description, Person Specification and that you know all of the competencies required. This will help you practice and prepare for the questions asked. Early on in the interview, I will very often ask a candidate what they know about the company or what they think about our products or services. If they cannot answer these questions well, it becomes very obvious they have not done any interview preparation and I would have to wonder why they want to work here in the first place. As part of your interview preparation, you should also carry out research into the industry as well as the company. Look for news about current events and trends in and continue on to explore further details about the company. Are they planning on bringing out new products, change location, add new staff or indeed make staff redundant. While I would ideally recommend more time, just 15 minutes is all it takes to gather enough information to format a respectable answer to these questions and convince me that you are genuinely interested. Another vital part of your interview preparation and one that many candidates forget is to plan the actual logistics for the interview. Consider how you are going to get to the interview, which route will you take, how long is the journey. You might even want to make a trial journey in advance to be sure of all the details. Plan to arrive 10-15 minutes prior to the interview. You must dress appropriately as this could impact on your chances of success. While the clothing choice is somewhat determined by the job itself, it is always best to dress a step above what the company’s employees wear. Clothing for the interview should be conservative, clean, pressed, and readily available the morning of the interview. Considering the positive impact a new job can have on the life of a successful job seeker in terms of increased salary, satisfaction and status, I am constantly surprised by the volume of candidates who arrive at an interview insufficiently prepared. In fact, a recent survey showed that 9 out of 10 interview candidates failed to prepare properly for their job interview. Not surprisingly they missed out on the job offer. As an interviewer I will be looking for clues to see just how interested a candidate is in the role and I will ask questions to determine this. Very often poor preparation is revealed with the answers to these questions and I then have to wonder whether the candidate is really interested in the job or just at the interview for practice. 1. Is preparation for a job interview really necessary? Preparation for a job interview is vital and is the first step towards success. With adequate preparation you will know exactly what the employer is looking for, you will have a good idea of the questions they will ask and you will have effective answers ready on the tip of your tongue. Interviews can be nerve wracking for many people however by preparing in advance, for the interview you can perform in a relaxed, positive and confident manner. The situation will be familiar to you and you will be ready for any question they can throw at you. Thorough interview preparation is essential if you are serious about the job and there really is no excuse for just showing up to the interview without having done at least some very basic preparation. 2. Ok so what is the best way to prepare? My favourite interview preparation strategy is to Anticipate, Prepare and Rehearse. Firstly anticipate the questions that are likely to be asked, then Prepare answers and finally Rehearse those answers until you can deliver them smoothly and clearly. There are a whole variety of strategies you can use and later in the article I give my favourite interview preparation tips. Whatever you do, remember that even some preparation in advance is better then none at all. 3. I’ve been to interviews before – should I just go and see how it goes? I advised them that whatever level they are at and no matter how experienced, interview preparation is always recommended. They failed to take my advice and they found themselves at a very difficult interview being asked why they were applying for a job for which they were over-qualified. They were stumped as they had no idea an employer would consider this to be the case. Some preparation before the interview would have shown them that in fact the job was in practical terms below their grade. 4. How Much Time Should Interview Preparation Take? The more time you spend preparing the better your chances of getting the job offer. Start as soon as you begin the job search process and when you have made an application start preparing your answers. You may be able to spend and hour or two practicing however you may find that this is just enough to get by. 5. Where can I got to get help? You have started by visiting this site where you will find lots of information and advice and it’s all free. You can purchase books from Amazon or your local book store and you can practice with online resources such as InterviewGold. This is an interactive system that you access online and where you can practice with mock interviews, videos and even record yourself with a webcam. You can also get bespoke interview coaching which gives you detailed and live feedback from an industry expert. Want to make your interview preparation easy? Want to dramatically boost your chances of getting the job? 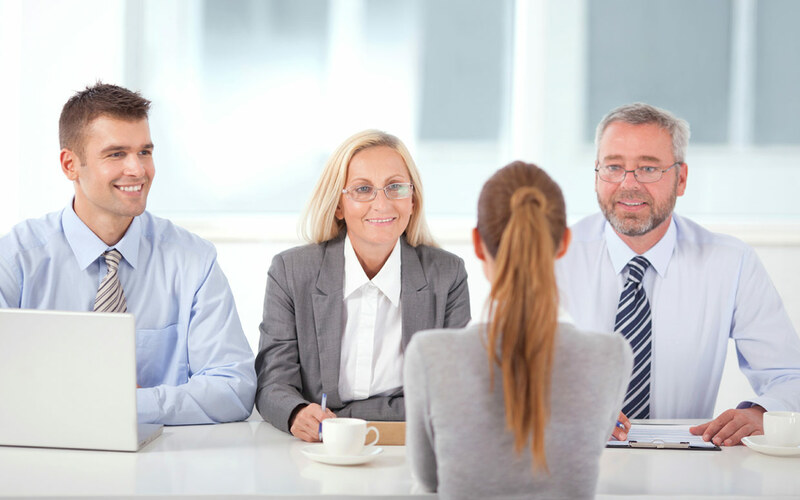 Then have a look at InterviewGold; the leading online system which has helped thousands of job seekers such as yourself, prepare for and win job offers in interviews.